Hobie and some blind children are stuck in a fire. Logan is jealous over something. 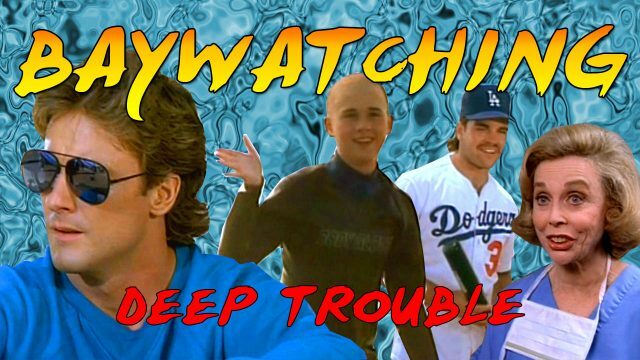 Baywatch’s new bad girl drops into town at the same time as Johnny Danger, a drunken stunt man who likes hanging out with kids. 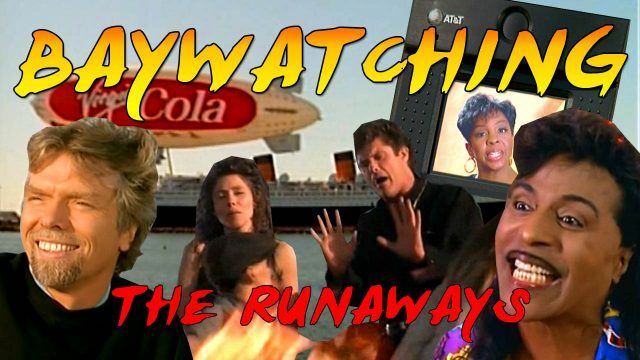 My favorite episode of Baywatch includes Virgin Cola, Little Richard, and some sweet music videos! 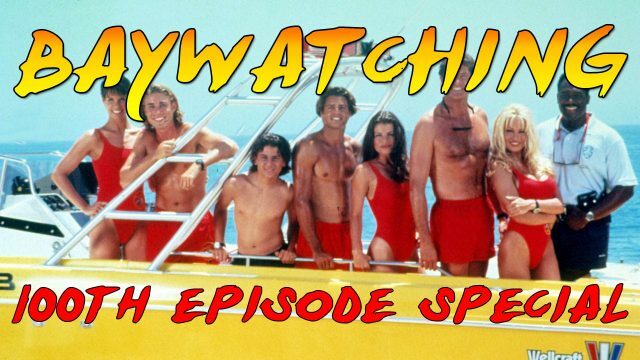 Happy 100, Baywatching! Here’s a behind the scenes look at the road so far. Mitch rescues a Chinese refugee. Meanwhile, Eyebrows and Hobie go after pickpockets. Cort makes his final appearance to help out a kid with Emmy Cancer. 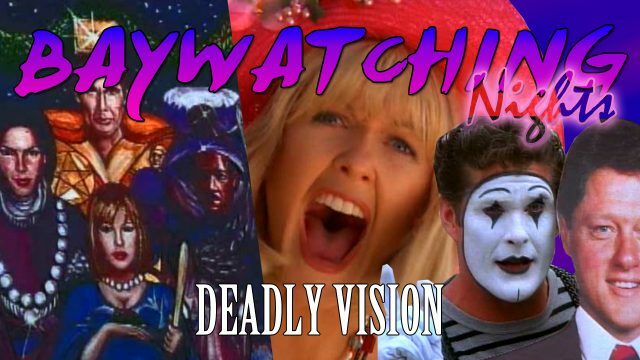 Some celebrities pointlessly cameo.